QINGDAO, China - Chief of Naval Operations (CNO) and the U.S. Pacific Fleet commander joined over 20 maritime leaders April 22 at the 14th Western Pacific Naval Symposium (WPNS) to exchange ideas and agree upon procedures affecting maritime conduct at sea. "It's great to be with the heads of navy and the maritime leaders of the Pacific," said CNO Adm. Jonathan Greenert of the WPNS. "We're strongest when we all operate together," said Greenert, who often stresses the importance of coalitions to respond to natural disasters and future global challenges. During Greenert's remarks he stated that forums like the WPNS offer the most tangible agenda to accomplish worldwide naval initiatives by allowing heads of navy to sit down as a group and discuss important issues of the highest consequence. The most significant issue at this year's symposium was the vote on the endorsement of the Code for Unplanned Encounters at Sea (CUES), which passed by an overwhelming majority of the WPNS voting members. 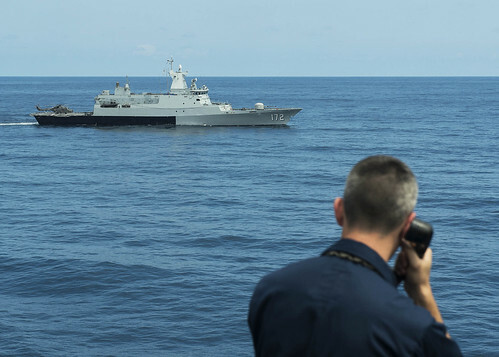 The CUES document is not legally binding, but is an agreement upon which the participating nations have a standardized protocol of safety procedures, basic communications and basic maneuvering instructions to follow for naval ships and aircraft during unplanned encounters at sea. "We can be proud of our collective work," said Greenert of the CUES document, which was years in the making. "I appreciate the hard work in developing the document." 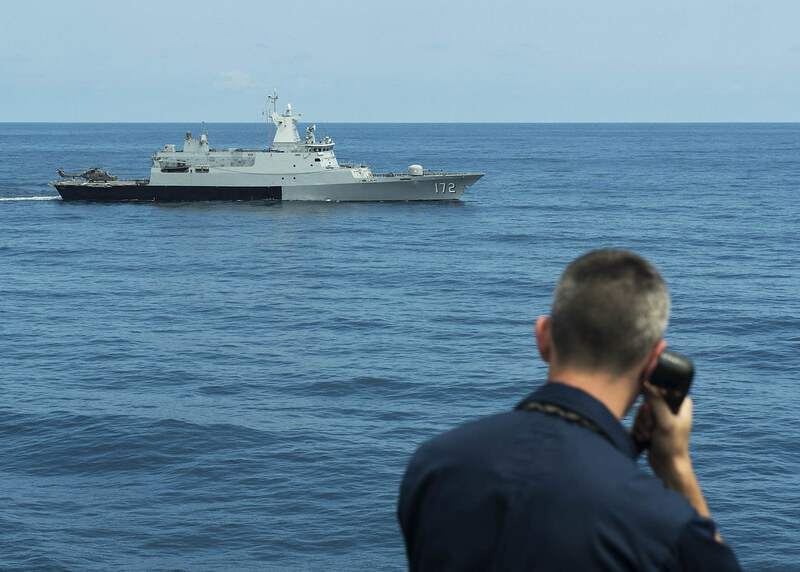 "This is an important step forward to reduce tensions at sea in the region," Adm. Harry B. Harris, the commander of U.S. Pacific Fleet, said during his remarks at WPNS. Greenert expanded upon the significance of the CUES agreement stating, "We've agreed to increase the standards that we will set at sea. We've agreed to establish proficiency in communications. We've agreed to establish common behavior at sea. We've agreed to prevent misunderstanding and miscalculations." In Greenert's remarks he also highlighted the importance of building on WPNS achievements and the need to communicate more openly, directly and talk more frequently. Greenert said the endorsement of CUES is just the beginning. He said the real challenge will be what comes next; the implementation and training of future generations of commanding officers and junior officers on achievements like CUES and other cooperative initiatives spawned from the WPNS and annual WPNS workshops. The WPNS is a biannual meeting among navies with significant strategic interests in the Western Pacific. The WPNS aims to increase cooperation and the ability to operate together, as well as build trust and confidence among navies by providing them a venue to discuss maritime issues of mutual interest as a group and through bilateral meetings.